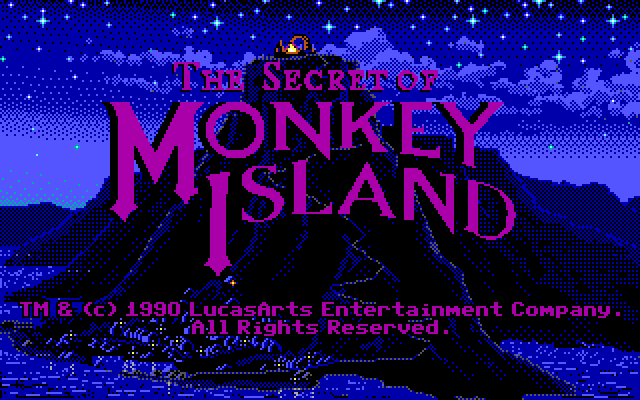 Released on or about September 18, 1990, The Secret of Monkey Island was LucasArts' last 16-color PC Adventure game. Like its previous SCUMM engine games for the PC, it runs on CGA, Tandy, EGA, MCGA, VGA and Hercules graphics. It comes on eight 360KB disks or four 720KB disks and you can play it without a hard drive if you want to torture yourself. Like LOOM, SoMI will support two floppy drives and the room assignments for each disk usually make sense. There is no mention of Hercules graphics support in any of the printed materials, but it is there. If you use an unknown parameter after typing in the executable, you will see Hercules graphics in the list of supported graphics adapter. No need for SimCGA, unlike LOOM. Except for CGA and Hercules, the graphics as displayed on other graphics adapters will look identical to each other. Like LOOM, SoMI supports the PC Speaker, Tandy 3-voice Sound, Adlib, Game Blaster and Roland MT-32. Roland MT-32 support originally required an upgrade disk, sold separately. LucasArts later made it available as a patch. Like LOOM, SoMI does not write custom sounds into the MT-32, so a passable emulation can be done with a Roland SCC-1 or other Roland GS device that supports the built-in MT-32 patches. In the 16-color box, things are not quite so interesting as they were for LOOM. The original retail release of the game comes with a simple manual, reference card, survey, typically a copy of the latest issue of The Adventurer (#1 or #2) and a postcard to subscribe to it for free. 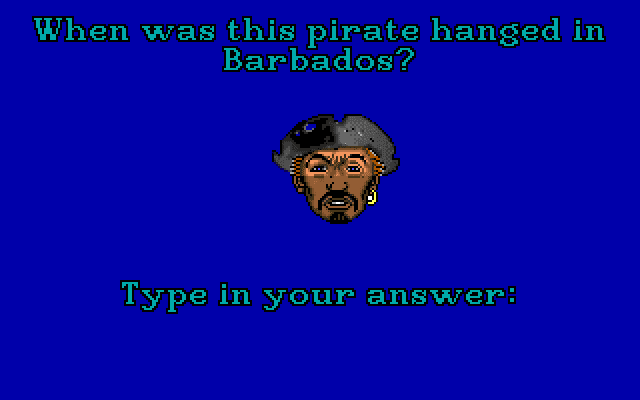 There will also be the Dial-A-Pirate codewheel used for the copy protection. It may have also included a $20 rebate or coupon for an Adlib card. LucasArts included a hint book for free if you ordered from its Company Store. Their hint books in those days came with a red filter so you did not spoil things by inadvertently reading ahead. As was the case with LOOM, there are cards to exchange disk types (free if you ship the disks back and $10 for the other set) and to obtain the Roland upgrade disk ($10). It also advertised the 256-color version for $15, and indicated it would be available in December of 1990. The 256-color version would not be ready for release until December 3, 1990. Adding eight additional graphical artists for the 256-color version undoubtedly helped LucasArts finish this version by the advertised release date. It came on eight 720KB disks or four 1.2MB disks. It supports MCGA or VGA adapters in a 320x200 resolution using 256-colors and EGA in 640x200 using 16-colors to simulate more colors with dithering. There are no real gameplay differences between the two graphical versions and sound support is identical. It does not need the Roland upgrade, unlike the 16-color version it is included with the disks as shipped. The PC Speaker and Tandy soundtracks only cover a few pieces of music, whereas the Adlib, Game Blaster and Roland MT-32 support the full sound track. One thing to note is that the MT-32 does not support any sound effects, unlike the other music devices. You cannot officially use two sound devices for this game. Thanks to NewRisingSun, a patch is available to allow you to hear Adlib sound effects with Roland MT-32 music, and you can find it here on the second page : http://www.vogons.org/viewtopic.php?f=7&t=35820. There are separate patches for the 16-color version and and two 256-color versions. Use the patch based on your interpreter version, not the game version. The interpreter version can be found by using an unknown parameter when running the game. When it came to backgrounds and on-screen characters and objects, it is abundantly clear that the graphics have been upconverted from 16-colors to 256-colors. The closeups, however, are another story. LucasArts' artists took real hand-drawn or painted portraits and scanned in the images into a computer, which converted them to computer graphics. Sierra was doing the same thing with its VGA titles, and other companies soon realized that they needed to step up their game for the realistic images that VGA could display. The Adventurer was LucasArts' own newsletter, which would later become a magazine. Similar to Sierra's InterAction magazine, it described company products, offered hints and answered letters, provided some troubleshooting information for games and included order forms for LucasArts games and Lucasfilm items associated with Star Wars and Indiana Jones. You could purchase accessories like a poster or a T-shirt with your game's name on it. #1 included a lengthy interview with Ron Gilbert, the creator of SoMI. #2 included a Monkey Island Activity Page. To that extent, the Adventurer does serve as something like The Book of Patterns, The Grail Diary, The National Inquisitor or The Poster included with LucasArts previous games. SoMI, LOOM and Indiana Jones and the Last Crusade: The Graphics Adventure, are included on a demo or sampler disk called Passport to Adventure. This 1.2MB disk contained interactive demos for each game, selected in a menu in the game. In LOOM and Indy, you have to guide your character through the first section of the game, just like if you were playing the full game. In SoMI, the puzzles and much of the interactions are unique to the demo. The demo is also available in a standalone version, but this has been expanded to include a prologue were Guybrush and "One-Eyed Frank" (Estevan) talk about plot points in the game. The demo is available in 16-colors only (with Hercules and CGA support) on the PC. An Amiga demo exists that mirrors the standalone PC demo, but it uses the artwork from the 256-color version. SoMI was released in disk form for the Atari ST, Commodore Amiga and Apple Macintosh. It was released on a CD-ROM for the PC, Macintosh, FM Towns and Sega CD. 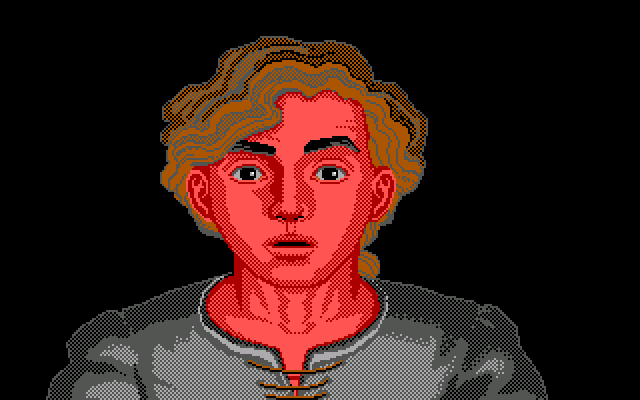 The Atari ST and Macintosh disk versions use the 16-color PC graphics. The Amiga uses 256-color PC disk graphics but can only display them in 32 colors. I have discussed the FM Towns and Sega CD versions elsewhere, they use the PC CD 256-color graphics. The PC CD version exists in two major variants. The first, a 1992 standalone box release by The Software Toolworks, supports five languages, English, French, German, Italian and Spanish. When you start the game, you are given your choice of language in a menu using the 640x480 VGA mode (16-color support). When you select the language, the game begins in the usual 320x200 mode. When you end the game, it will go back to the menu. If you want to bypass the menu, just go to the directory of the language you want to play the game in and type in the executable. 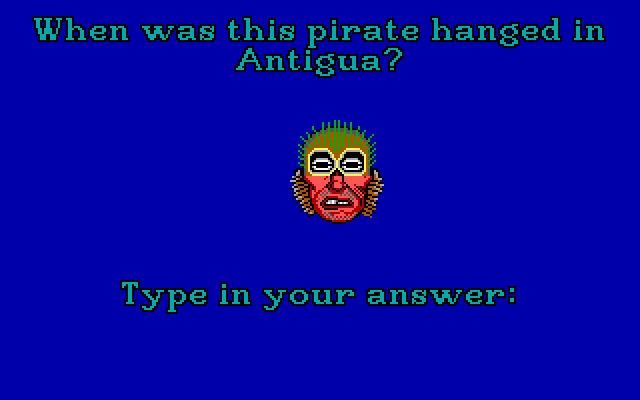 The second release in 1997 is a bare disk called Monkey Island Madness, and includes the CD version in the English language along with Monkey Island 2: LeChuck's Revenge and a demo for The Curse of Monkey Island. You are supposed to run this through the Windows launcher, but you can run the game in DOS just by chosing the MONKEY1 subdirectory and tying in the name of the executable. The PC CD has two major differences from the PC 256-color disk version. First, it uses only nine verbs and has graphical icons instead of the text of the disk versions. The verbs use a different typeface and all language selections use this typeface with the verbs translated into the appropriate language. 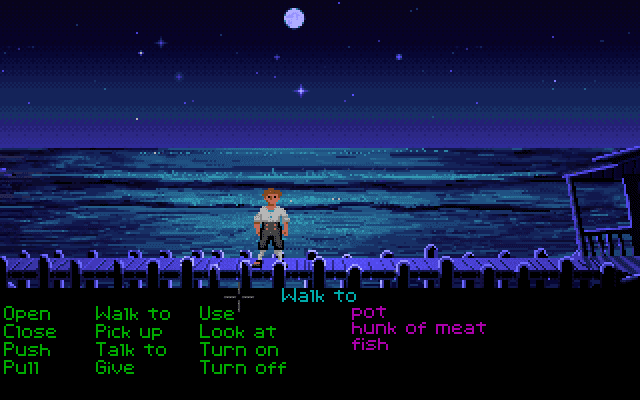 The "Turn On" and "Turn Off" verbs are removed, they were barely used in the disk versions. Also, the Walk To verb does not have its own selection anymore, it is redundant because Walk To is always the default left-click action. Second, it uses CD Audio for all its music. The CD is a mixed mode CD with one data track and 24 CD Audio tracks for music. Unlike LOOM, it will use a sound card for sound effects. For sound effects, it supports the PC Speaker, Adlib, Sound Blaster or Roland MT-32. There are four game versions. The 16-color version has a v1.0, the 256-color version has a v1.0 and a v1.1. The English language CD-ROM version is 2.3b (either variant), but the other languages report a 2.3 version. 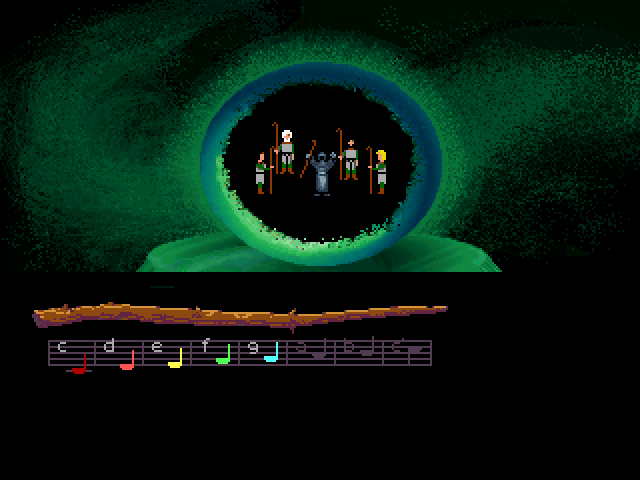 The game uses several interpreter versions. 16-color uses version 4.0.62, 256-color uses 5.0.18 and 5.0.19, CD uses 5.3.02 and 5.3.06. The game is speed sensitive on both ends of the spectrum. If it detects it is running on an 8MHz 286 or slower CPU, it will limit animations. 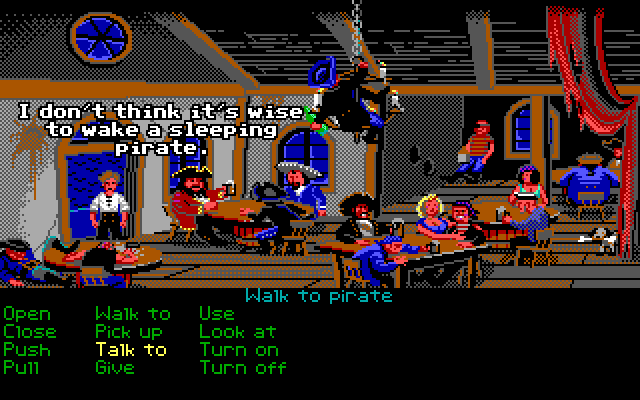 You won't see the cloud traveling across the sky in the introduction and the first screen in the Scumm Bar will not have the pirate spinning on the overhead anchor. It is very playable on a 16MHz 286/386SX CPU. On the other end, neither disk version will run in a 486DX2/66MHz CPU. They will complain of a divide by zero error and leave you hanging at the DOS prompt. This only happens if you are trying to use the Adlib, which is the default choice if an Adlib or Sound Blaster card is in the system. Internal Speaker, Tandy (in theory), Game Blaster and Roland MT-32 are nowhere near as picky about the speed. With the Adlib music, you would probably be pushing it by running the 16-color version in a 386DX/40MHz. The 256-color version is a little more speed tolerant but won't be running with a 66MHz CPU. 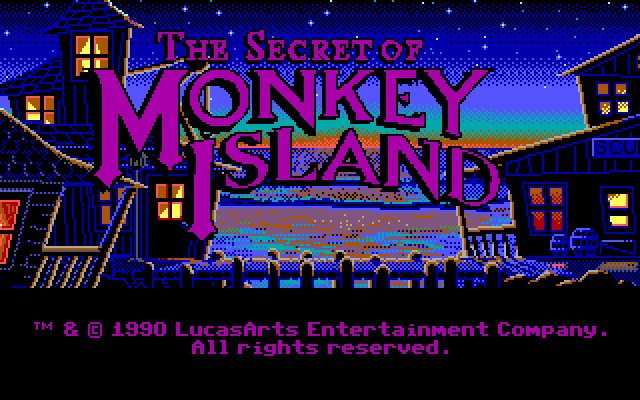 LucasArts released a patch for the 256-color version to allow that version of the game to play with 486DX2/66MHz and faster CPUs. No such patch exists for the 16-color version. The copy protection exists in the standalone boxed releases of the 16-color and 256-color versions. LucasArts redid the artwork for the copy protection screen in the 256-color version. Some of the budget or slash releases of the game may remove it. The 16-color version should be crackable with one of the copy protection programs identified in my The Wringer article. 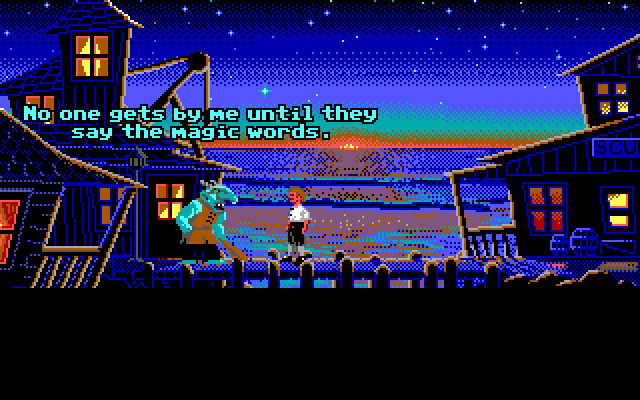 The LucasArts Classic Adventures contains the 256-color version of the game and removes the copy protection. It also incorporates the speed fix patch described above. 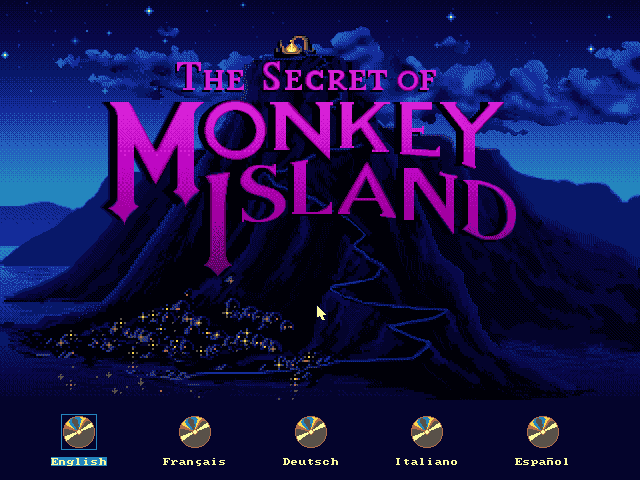 The Secret of Monkey Island is a true classic. The puzzles can be challenging but you cannot get stuck and there is only one way to die so that you have to restore your game (and that is something of an Easter Egg). There is a real original plot, the dialogue is witty and the pirate/parody theme is richly exploited here. The music, with its Caribbean influences and jaunty piratey jingles, adds measurably to the game. 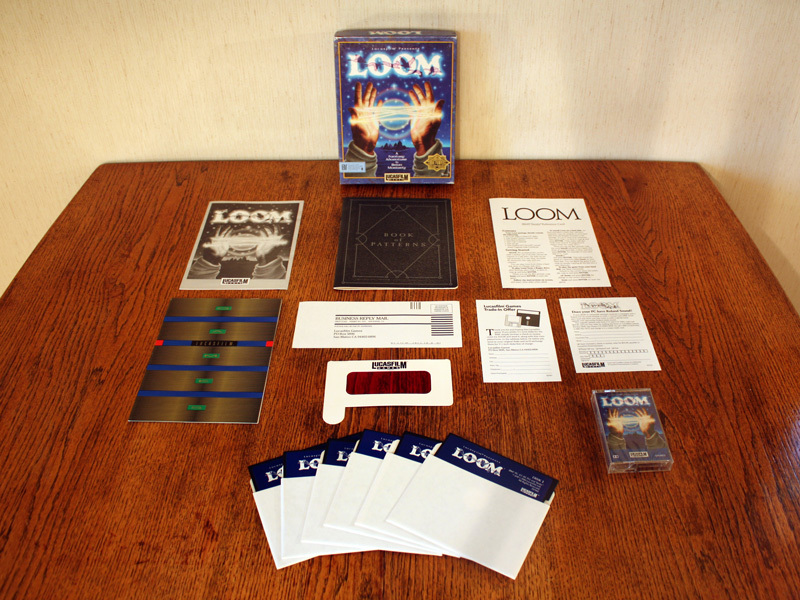 LOOM came in a large box with six 5.25" floppy disks or three 3.5" floppy disks, the User's Manual, the Book of Patterns, a red transparent filter to read the copy protection symbols, and an audio cassette containing the audio drama, a trade in offer for the opposite type of floppy disks and an upgrade offer for the Roland MT-32 sound upgrade. Also, you probably got a catalog or even The Adventurer #1 with your copy, depending on when you bought it. So LOOM is an example of "the whole package" presentation of PC games. The boxes were often stuffed with disks and manuals and other "stuff", making those big boxes somewhat justifiable. To experience LOOM "whole" requires you to go through those items, one by one, until you get to the disks themselves and install the game. As has been mentioned before in this blog, there are three major versions of LOOM, the PC disk version with 16-color graphics, the FM Towns CD version with 256-color graphics, and the PC CD version with 256-color graphics. Of all the versions you could play, I would recommend the PC disk version. The PC disk version has several advantages over the other versions. First, it can be played with just about any computer and graphics adapter except Hercules (unofficially Hercules can play the game with the SimCGA program). Second, the game supports all the common sound device options of its day, the PC Speaker, Tandy, Ad Lib MSC, CMS Game Blaster and Roland MT-32. Third, even with the Roland MT-32 upgrade, the whole game will take up no more than 2.15MB. Fourth, if your vintage computer lacks a hard drive, you can swap floppies. Fifth, loading times are non-existent with the disk version in most systems with a hard drive, but if you have to play with a CD, you will have the frequent short wait while the CD seeks a track or section within a track. Lastly, the singular vision of Brian Moriarty is completely encompassed here. The floppy disks are well arranged for disk swapping, even for the 5.25" floppy disks. Disk 1 contains the main executable and the introductory screens. Disk 2 is primarily for Loom Island, Disk 3 is for the Glassmakers, Disk 4 for the Shepherds and the Dragon's Cave, Disk 5 for the Blacksmiths and Disk 6 for the Clerics and end-game. The 3.5" disks combine Disks 1 & 2, Disks 3 & 4 and Disks 5 & 6, further reducing the need for swapping. However, it was not intended that you swap disks if you wanted to use the Roland MT-32 music on the upgrade disk, which came in both sizes. You were supposed to install the game to a hard drive to enjoy the MT-32 music. I suppose LucasArts probably thought that if you were rich enough to afford an MT-32, you were rich enough to have a hard drive in your PC. Savegames with the Roland MT-32 patch cannot use another sound option. The audio drama is on a compact cassette and can be found on both sides in stereo. The drama runs 29 minutes, 9 seconds. Side One is encoded in Dolby B NR (noise reduction). Side Two is encoded with Dolby S. Dolby B was prominent from the 1970s as a noise reduction system and widely supported, while Dolby S was a much newer (1989) noise reduction encoding system that required special support with high end cassette playback devices. Dolby S recordings could be played back on Dolby B-supporting devices, but there would be less benefit. Dolby B could be played back on low-end cassette playback devices that did not support any Dolby encoding, but there would be less benefit. LOOM is not unique in containing a cassette with spoken audio for adding value to the game. Chuck Yeager's Advanced Flight Trainer had a tape of Yeager talking about his career and giving aviation advice. Corruption had a tape where you could hear two versions of a conversation, the full conversation and a conversation edited to frame you. The President is Missing contained audio supplements to the game. None of these games had a full-cast audio drama to give the background for the story. LOOM used professional voice actors and recorded them at Skywalker Ranch. They also recorded them reading their lines together instead of separately as is the more common practice. The script for the audio drama can be found on pages 32-38 of the LOOM Hint Book. In the standalone PC disk versions, the copy protection requires you to look for the correct guild symbol and then click on the four notes given for one of the four patterns. There are twelve guild symbols and four patterns for each guild (throw, beat treadle and rest). 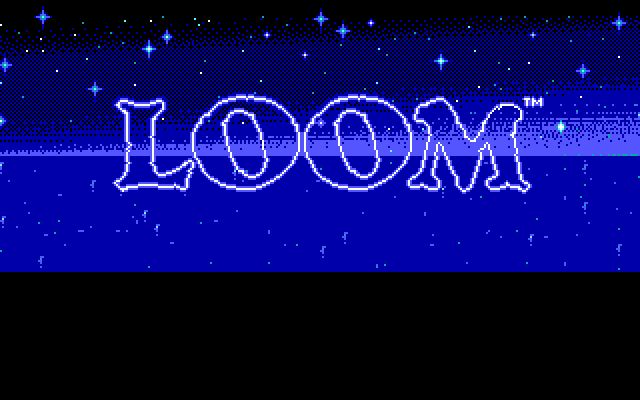 Unlike most games that will boot you to DOS if you fail the copy protection, LOOM will allow you to play the game in Demo mode, at least to a certain point, and you cannot save or restore a game. 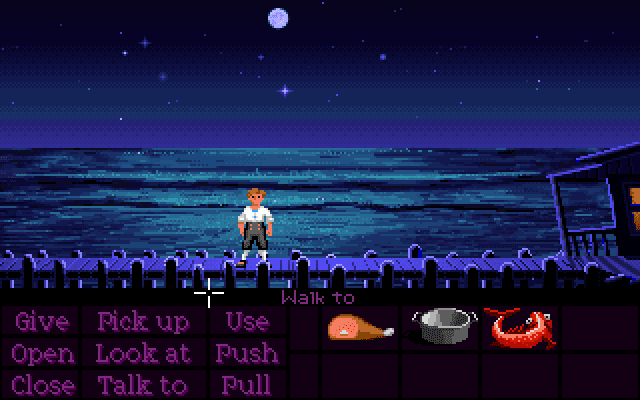 If you have the version of the game contained in the LucasArts Classic Adventures collection, the copy protection has been removed and you will never see the copy protection screens. Much of the visual attraction of LOOM can be attributed to one man, Mark Ferrari. Ferrari did the front cover box art as well as all the backgrounds for the game and contributed to the animation. 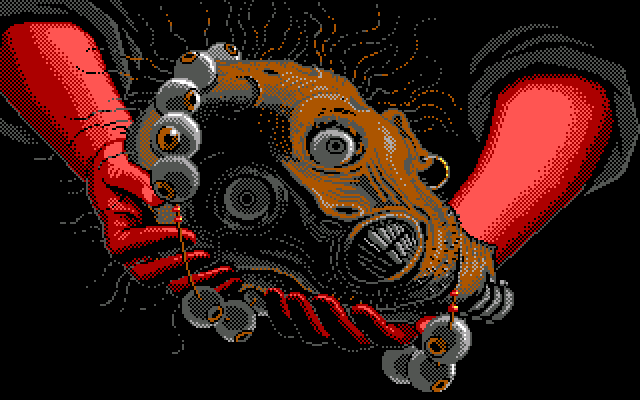 LOOM has some of the most beautiful backgrounds ever done for a 16-color PC game. The work of this one man was redone by four artists in the CD versions, with varying results. LOOM may have been intended (depending on when Moriarty commented on the matter) to be the first part of a trilogy of games or the trilogy was left open as an option. The second game was going to be called Forge and feature the adventures of Rusty Nailbender to try and save his guild. The third game was going to be called The Fold and follows the adventures of Fleece Firmflanks to try to restore the world. However, Moriarty and his team were busy working on other projects and the drive was not there at LucasArts to complete the trilogy and eventually the moment had passed. However, there were guilds and drafts mentioned in the written materials and the game which were not used in LOOM, perhaps the sequels may have used some of these ideas. There are twelve guild symbols used for the copy protection :a quill pen in an inkpot, a crook with a sheep, a spinning loom, a pair of scissors, a drinking goblet, a toy horse, a T-square, a three-pronged staff, an abacus, a hammer and anvil, a wavy line and a magnifying glass. I would suggest these represent Career Politicians, Shepherds, Weavers, Tailors, Vintners, Toymakers, Architects, Clerics, Statisticians, Blacksmiths, Seismologists (or Mages) and Psychotherapists. The drafts use the musical notes across a scale from C-C'. You can use sixteen drafts in the game. Two drafts, Opening and Transcendence, do not change from game to game, but the rest do. All the other drafts have three possible note combinations. However, you only need to write down only eight drafts to get to the end of the game. The first game was designed to be completed. It was not made so difficult as to require an obligatory hint book purchase or be left on the shelf and forgotten in frustration. This may explain why LOOM's hint book is rather more difficult to find than other LucasArts' hint books. The puzzles in this game have solutions that make sense and the clues are easy to grasp if you pay attention. At times the game will give you hints if you are not doing something quite right. LOOM's can be put in an unwinnable state if you forget to transcribe a draft or transcribe it incorrectly and cannot go back to the point where you can hear it again. Backtracking is limited in this game. Some puzzles have more than one solution as well. The Expert mode will really test your note identification abilities, there are no visual cues usually present. It does reward you with a neat scene toward the end of the game. 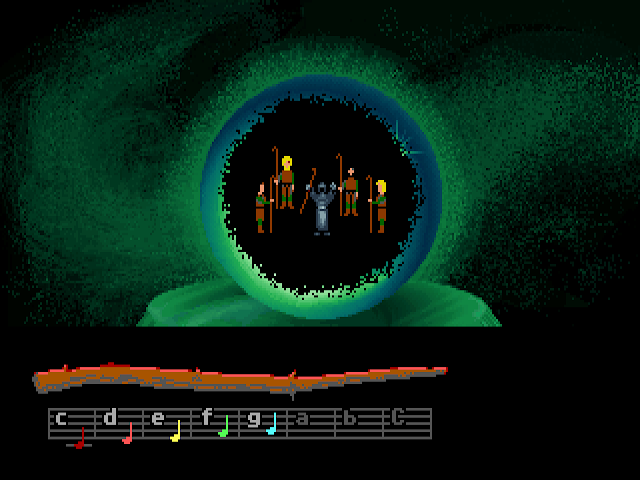 LOOM is one of the first PC games where a player can really feel that he is driving the plot. Earlier games were content to let you go off and explore with the general plot making an appearance from time to time, but LOOM is a game that is squarely focused on its plot. As the protagonist, you drive the story and your actions have consequences. The game is rather intimate in that you have fairly frequent interaction with the other characters in the game. The more important characters have animated portraits and distinctive dialogue to give them personality. LOOM can be seen as something of a Greek tragedy. Bobbin has been destined from birth to cause chaos to erupt in the Pattern. No matter what he does, he inevitably is the spark that causes the Pattern to be torn open and allow for Chaos and the Dead Ones to invade the world of the living. The Elders tried to stop chaos by trying to banish Bobbin to the Shore of Wonder, but were thwarted before they could act. Ironically, Bobbin's mother, who brought Bobbin into the world to forestall the coming of chaos, prevented the Elders from possibly forestalling chaos. Finally, no one really wins in LOOM, Bobbin and the Weavers fight Chaos to a draw at best or make a retreat. Bobbin, who is still a seventeen year old "child" has to pay the price for his destiny by Transcending well before his time. It is no accident that the Elders are named Atropos, Clothos and Lachesis, which are the names of the three Fates of Greek Mythology. Like the Greek Fates, who dictate the destiny of every mortal from birth to death, the Elders control access to the Loom, which contains the pattern of all life and death in its threads. The Greek Clotho uses a Distaff and Spindle to spin the thread of life. The Loom Clothos is the least hostile of the Elders to Hetchel. The Greek Lachesis measures the thread of life with a rod, while the Loom Lachesis is the one to denounce Hetchel, implying her thread has reached its end Finally, the Greek Atropos cuts the thread of life, indicating the doom of the person. Elder Atropos from Loom is the the one who casts the draft of Transcendence on Hetchel, symbolically ending her physical life. As everybody knows, the PC CD version added fully spoken dialogue to the game. They put all the voice acting, music and sound effects on one large CD audio track following the game data. The CD audio track is 54 minutes and 39 seconds long. Everything was lumped into one CD track because the CD standard only supports 99 tracks, which is insufficient for all the cues in this game. Why didn't LucasArts just digitize the speech like it did with Indiana Jones and the Fate of Atlantis and Day of the Tentacle? That would have allowed them to include a great deal more speech, but this would have come at the loss of quality. Indy and Day's speech is encoded in 8-bit and no greater than 22.050KHz. LOOM's speech is at 16-bit and 44.1KHz. Moreover, Indy and Day require a Sound Blaster for speech playback while LOOM only requires a CD-ROM drive. In 1992, CD-ROM drives and Sound Cards were still expensive, and it was not guaranteed that someone would own both. Moreover, at this point LucasArts' voice acted games were still using MT-32 and General MIDI for music. On LOOM, while the music is not always distinct from the dialogue, it sounds much better than the MT-32 of the disk version. Despite the loss of much of the more humorous dialogue, the CD voice acting is professionally done. In addition, LucasArts managed to obtain most of the voice actors who had done the audio drama for cassette. This was during a time when much of the voice work and acting for CD-ROM games was done on the cheap by the programming team and the company staffers instead of professionals. To its credit, LucasArts never really went down that route. The redone artwork for the portraits is exceptionally well-done. Unfortunately, you will almost never see it in the PC CD version. Because the dialogue was shortened, those portraits would have gone by too quickly. They are seen normally in the FM Towns version. There are a pair of animated cutscenes unique to the PC CD version, but they look rather ugly and out of place compared to the rest of the game. The PC CD version has an unfinished feel to it. No one bothered to recolor the distaff to bring it up to 256 color standards, even though a recolored distaff was in the FM Towns version. Less defensible is the fact that the item closeups have not been redone either. Neither the FM Towns nor the PC CD corrected this leftover from the PC disk version. Nor did they update the graphics when you look into the crystal spheres in these versions. What about the FM Towns version? The FM Towns computers are very rare and expensive, even the FM Towns Marty consoles are hardly common, even in Japan. Obtaining an authentic FM Towns hardware experience will be very expensive. While UNZ does a serviceable job emulating the system and has English-translated menus to make things easy to get running, emulation only gets you so far. One better known issue with the FM Towns version is that there are two sets of music tracks. While both tracks were composed with synthesizers, the first set of tracks sound a lot more orchestral than the second set. Yet it is the second set that loops after both sets are played. They should have axed the second set altogether, it is totally inferior when it comes to reproducing the music of Swan Lake. One lesser-known issue with the FM Towns version is that the aspect ratio is not correct. The FM Towns version takes the artwork designed for a vertically stretched 320x200 resolution and adds 40 lines of black on the bottom of the screen without adjusting the graphics themselves. On a PC, most people stretch their monitor's height so that the visible edges of the screen come close to touching the monitor bezel. The end result makes the "spheres" in the game have a nearly spherical ratio in either the PC disk or PC CD versions. Without aspect ratio correction, the crystal spheres in the FM Towns version look like ovals. The last issue with the FM Towns version is that they did not convert the item closeups to 256 colors, just like with the PC CD version. It rather takes away from the fantasy when you see a symptom of "get it out by Christmas". The Journey of the "PCjr./Tandy Sound Chip"